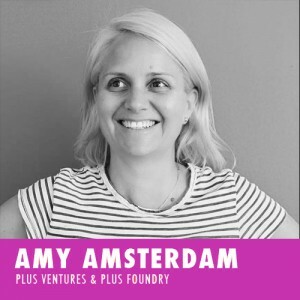 Amy Amsterdam is the Senior VP of Project Management for Plus Ventures and Plus Foundry. Formerly, Amy was the Director of Innovation for the Los Angeles County Economic Development Corporation. In that role, she oversaw innovateLA, the Blackstone LaunchPad in Southern California and Los Angeles Innovation Week. Previously, she was Director of Los Angeles Mayor’s Council on Innovation and Industry from its inception in early 2012. LAMCII was instrumental in connecting the Mayor’s office and innovation leaders throughout the region with the goal of increasing L.A.’s profile as a leading innovation destination.